After 4 rounds in the Top 16, there is a big battle in the middle of both groups. Across Group E and F, we have a team with a 4-0 record, two teams with a 3-1 record, two teams with a 1-3 record, a 0-4 record and then 10 teams with a 2-2 record. This means that there is plenty to play for in the weeks that lie ahead. Round 4 offered up a number of talking points. Another local derby took place in Group E this week and if you we relooking for plenty of points, this was the group to look out for. There was another basketball battle in Istanbul this week and the away team were on fire in a game that delivered points, action and plenty of talking points. Fenerbahce managed to score the second highest points tally in their history and the most amount of points scored on the road in club records in this win over Darussafaka. The hosts fall to a 0-4 record while the away team remain the only unbeaten team in the Top 16, standing with a 4-0 record. The tone was set with Jan Vesely and Bobby Dixon helping the team to grab 37 points in the opening quarters. At one stage, the away team led by 19 points but the home team put on a strong rally in the second half. In the final minute, the lead was cut to three points but this was the cue for Dixon and Ekpe Udoh to see Fenerbahce over the line. Dixon grabbed 24 points, Udoh offered 21 points and 7 rebounds while Vesely offered a double-double with 16 points and 13 rebounds, making this is third double-double of the campaign. Luigi Datome chipped in with 14 points and Bogdan Bogdanovic provided 12 points for the away team. The hosts were boosted by Luke Harangody providing 22 points, Ender Arslan managed to deliver 17 points in 16 minutes while both Jamon Gordon and Semih Erden provided 12 points for the losing team. This result sees both teams holding a 2-2 record in Group E in a game where both teams had their moments. Unicaja started the brighter and held a 7-10 lead but this was soon turned into a 21-14 scoreline after just 10 minutes, stretching to 41-31 at the break. The away team improved their defence in the second half and by the fourth quarter, the gap was down to three points, at 60-57. However, Marko Simonic grabbed three efforts from downtown and then Branko Lazic offered his entire 9 points in the last 91 seconds of the game. 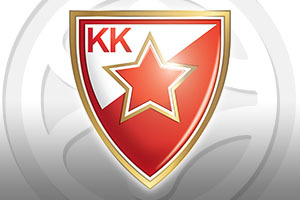 Stefan Jovic was the key man for Crvena Zvezda with 15 points, Marko Guduric grabbed 13 points, Simonovic provided 12 points and Maik Zirbes grabbed 10 points. Jamar Smith was the only Unicaja player to reach double figures, grabbing 11 points. There were two home wins in Group F on Friday night but the nature of these wins were quite different. This was the third home win of the Top 16 for Khimki, moving them on to a 3-1 record for this stage of the tournament while Bamberg dropped down to a 2-2 record. The main player for the Moscow side was Alexey Shved who grabbed 22 points and he was helped by Petteri Koponen who offered up 11 points in the win. Janis Strelnieks grabbed 13 points for Bamberg while Daniel Theis notched 12 points for the losing side. Nicolo Melli was in great form early on for the away team, helping them to move to a 4-8 lead but the hosts were in front inside 10 minutes. In the second quarter, Shved opened up the game, stretching the home teams lead to 11 points but this was the cue for the away team to deliver a 0-12 scoring run but just when Bamberg felt they were going to lead at the break, the hosts fought back and at half-time, the score was 30-28. Bamberg moved ahead 32-34 but this was to be the last lead for the away team with Tyler Honeycut and Shved providing the scoring that put the hosts 54-45 ahead, and they never looked back. This result was a surprise to some and it meant that Kaunas head coach Sarunas Jasikevicius enjoyed a pleasurable home debut. 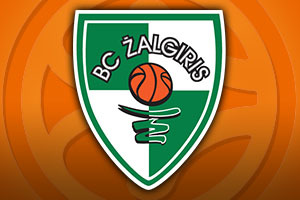 The win moves Zalgiris to a 1-3 record while the Greek side fell to a 2-2 record, battling it out in a five-way tie for second place in the group. Up until this point, Olympiacos had what was regarded as the best defence in the league but the hosts delivered an excellent defensive performance to get their season moving in the right direction. There were numerous parts of the game when Olympiacos failed to get a point on the board and this is something that both teams will return to this week in preparation for the Round 5 matches. Paulius Jankunas was a key player for the hosts, grabbing 18 points, Ian Vougioukas provided 13 points while both Edgaras Ulanovas and Renaldas Seibutis provided 11 points each. Only Darius Johnson-Odom got into double figures for the away team, with 11 points.